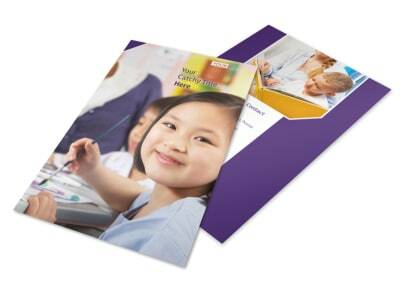 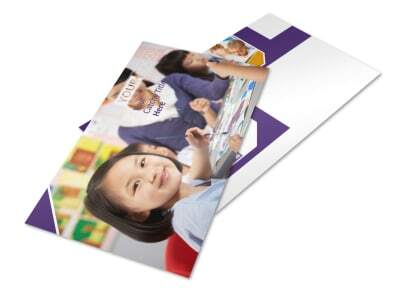 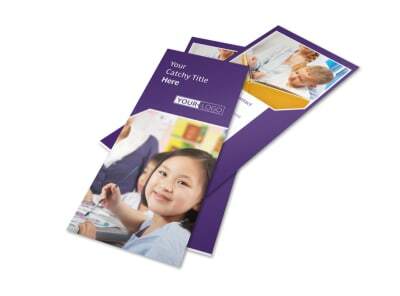 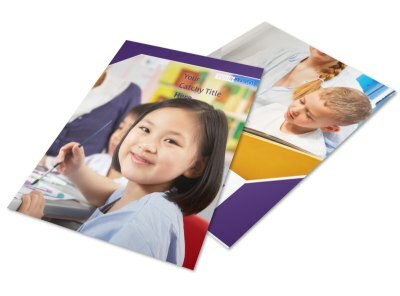 Customize our Child Care Center Brochure Template and more! 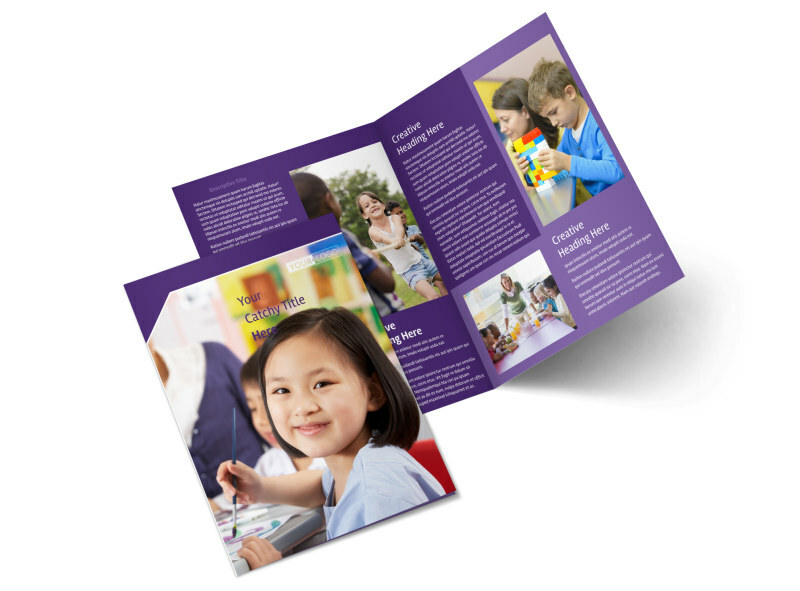 Give prospective parents a tour of your daycare or preschool center with brochures you make using our child care center brochure templates. 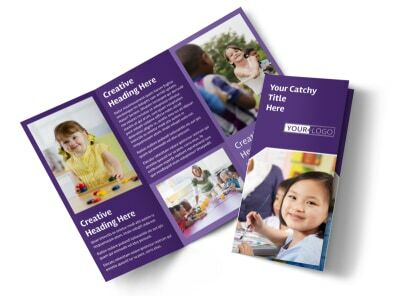 Customize the template of your choice using our online editor, adding photos of staff, playground equipment, and more, and then add text with details on rates, child care philosophies, and other important info. 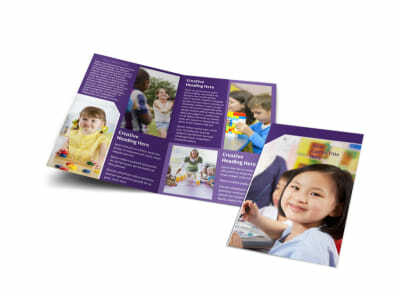 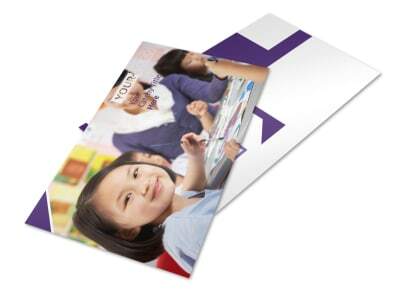 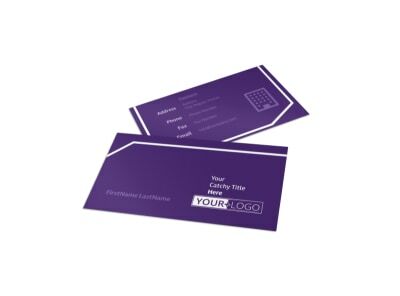 Print your brochures from where you are, or let us do the printing for you for efficiency and convenience.